I find it interesting that within John’s version of the Jesus story, the word here used for the One who will be given is parakletos. A parakletos in the first century was what we would call today an advocate. It was someone who would plead another’s cause, someone who would defend the rights of another. From the Sermon on the Mount all the way to Jesus’ use of parakletos here in John, Jesus meets our human systemic evil of sacrifice and oppression head on. Sacrifice (or as some refer to it, scapegoating) and oppression are rooted in the accusation of an innocent victim, either an individual or a group, that those in positions of privilege within society unite their community against. This can be done for a multitude of sociological reasons, yet the benefit is always stability and cohesiveness for communities threatened by their own internal rivalries (for more on the way of sacrifice or scapegoating, see https://renewedheartministries.com/Esights/06-23-2014 and https://renewedheartministries.com/Esights/06-02-2014). The kingdom that Jesus came to establish was to be “good news to the poor,” “release for the captives,” “sight to the blind,” and that which would let the “oppressed go free” (see Luke 4.18; Matthew 5.3-11; Luke 6.20-26). Notice that word “oppressed.” Jesus’ kingdom is, in every generation, about advocacy for the “oppressed” within our societies. This is made evident in Jesus’ next statement in John. Just a few verses later, Jesus states, “I will not leave you orphaned” (John 14.18). These are the very ones Jesus became the advocate for. These are the ones that we find Jesus speaking up for. 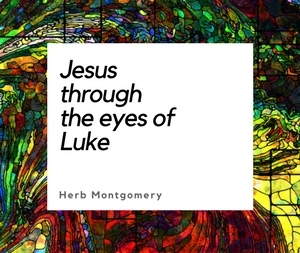 Over and over, through parable and argument, Jesus urges his exclusive religious community to embrace a much more inclusive way of seeing “God,” as well as a much more inclusive way of founding human societies. Jesus was the ultimate advocate, pleading on behalf of those who had been excluded by the community he found himself in. Jesus, being a mirror image of God (John 14.9; John 5.19), was the original advocate. Jesus reveals God to be an advocate for the oppressed in every society. The resurrection proves it! God is not at the heart of religious, political, economic, or social systems that sacrifice the most vulnerable. The resurrection proclaims that God is in the One (and ones) being suspended shamefully on crosses by those systems. What I find beautiful in Jesus’ departing discourses in John’s story, is that, before he leaves, he assures his disciples that another advocate will come to take his place (John 14.26; John 15.26; John 16.7). Within today’s systemically evil way of orchestrating our societies, which is rooted in the way of the accuser, there are many who have been orphaned. Yet what concerns me the most are communities that claim to carry the name of Jesus; they claim to be “following Jesus,” the original advocate, yet they too, too many times, are guilty of “orphaning” others on the basis of race, gender, age, sexual orientation, ethnicity, economic class, marital status, or physical/mental abilities. Today, we are also seeing an ever-growing number of Jesus followers who are waking up to this contradiction, waking up to this disconnect and choosing to walk away from the practice of societal-orphan-making into the beautiful world of advocacy. 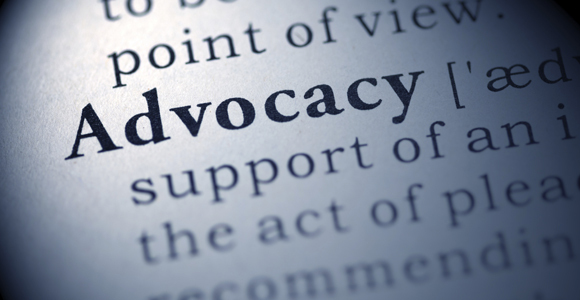 Advocacy means to make room for the voices and stories of those who have been orphaned by their communities. 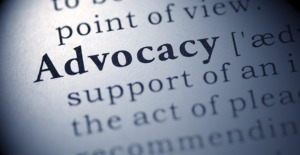 Advocacy is the way of Jesus in Matthew, Mark, Luke, and John. And, through Jesus, we come to embrace that advocacy too is a core element of the character of the God we see revealed through Jesus. Paul, who turned from religious-orphan-maker to an advocate of gentile believers in the early church wrote, “What then are we to say about these things? If God is for us, who is against us? He who did not withhold his own Son, but gave him up for all of us, will he not with him also give us everything else? Who will bring any accusation against those whom God has embraced? It is God who acquits. Who is to condemn? It is Christ Jesus, who died, yes, who was raised, who is at the right hand of God, who indeed advocates for us. Who will separate us from the love of Christ? Will hardship, or distress, or persecution, or famine, or nakedness, or peril, or sword? . . . No, in all these things we are more than conquerors through him who loved us. For I am convinced that neither death, nor life, nor angels, nor rulers, nor things present, nor things to come, nor powers, nor height, nor depth, nor anything else in all creation, will be able to separate us from the love of God in Christ Jesus our Lord” (Romans 8.31-39). Whatever it is, dear reader, that has made you feel orphaned, the advocate God in Jesus has embraced you, and nothing, NOTHING, can separate you from that God’s love. Not race, not gender, not age, not sexual orientation, not ethnicity, not economic class, not your marital status, and certainly not your physical or mental abilities. NOTHING, can separate you from the love of God we see revealed in the advocate Jesus. The best part is that Jesus has begun re-founding this world. Jesus is Lord, and although this Kingdom is open to all who will embrace it, it has started by giving a place to belong, a place to call home, to a group of orphans. This week I’d like you to spend some time in contemplation, sitting with Jesus, considering the difference between being the kind of “Christian” that makes orphans versus being a “Jesus follower” who follows Jesus’ example of being an advocate. Prayerfully meditate on this passage: “Speak out for those who cannot speak, for the rights of all the destitute” (Proverbs 31.8). Ask Jesus whom he would have you speak out for and whose rights you should defend. Share what Jesus shows you with your HeartGroup this upcoming week. “You may be 38 years old, as I happen to be, and one day, some great opportunity stands before you and calls upon you to stand for some great principle, some great issue, or some great cause. And you refuse to do it because you are afraid. Let’s follow Jesus together, making room for the orphaned voices of those whose stories have been brushed aside simply because they challenge the positions of the privilege. Let’s become advocates like Jesus till the only world that remains, is a world where Christ’s love reigns. Keep living in love—Loving like Jesus. I love each of you, and remember, the advocate God does too.